Just thought I’d put up a little section to show what I’m riding and what kit I’m using. I do all my own maintainence which I enjoy, and I often spend time tweaking things and putting new parts on. Giant Defy Advanced 3 – 2009. 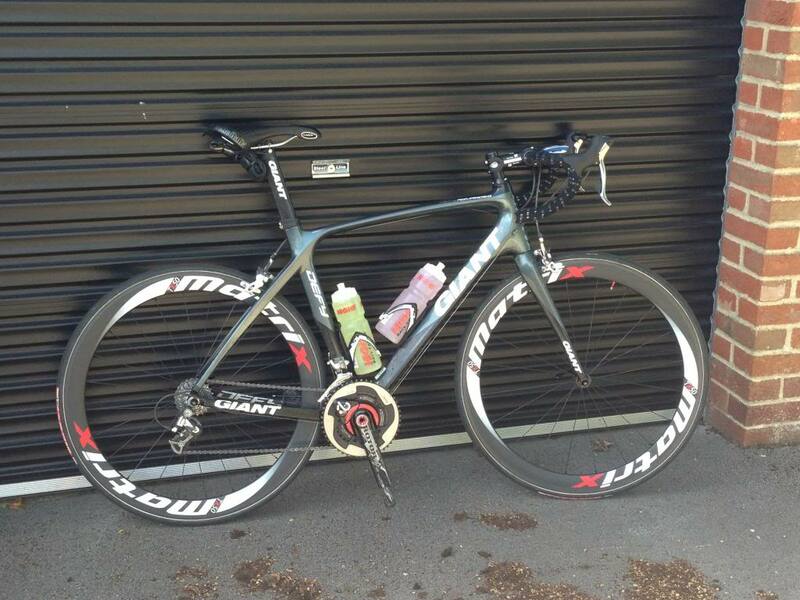 This is my main bike and my only proper road bike at the moment. I bought second hand back in 2010 so its getting on a bit now. 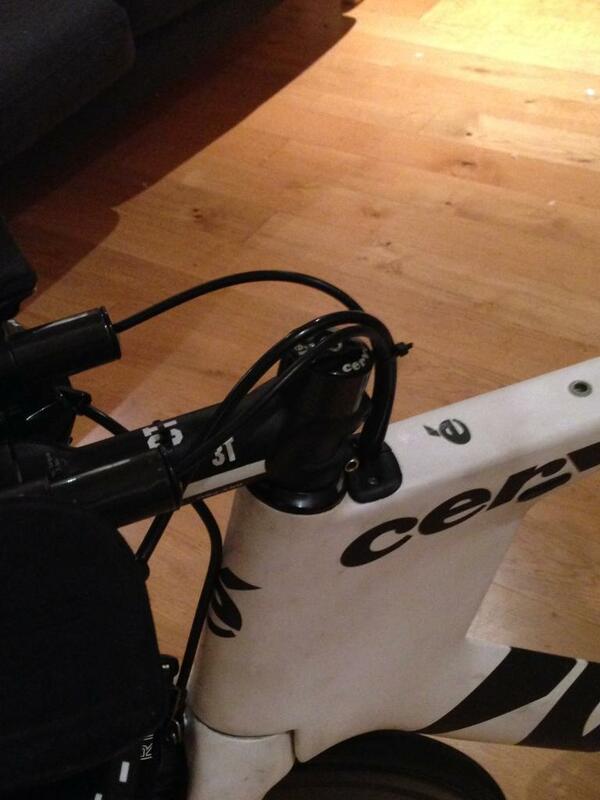 I’ve upgraded it with 5700 105 shifters (still 10 speed) and also use a BB30 Rotor 3d+ Chainset with Power2Max. This is less than ideal as I have to use an adapter BB to go with the Giant’s BB86, but means I can easily swap between both of my bikes. Brakes are recently upgraded to 5800 105, and wheels I currently use are 3t Acceleros Pro. At present I’m running a -17mm 100mm stem too, which is as low as I can go. 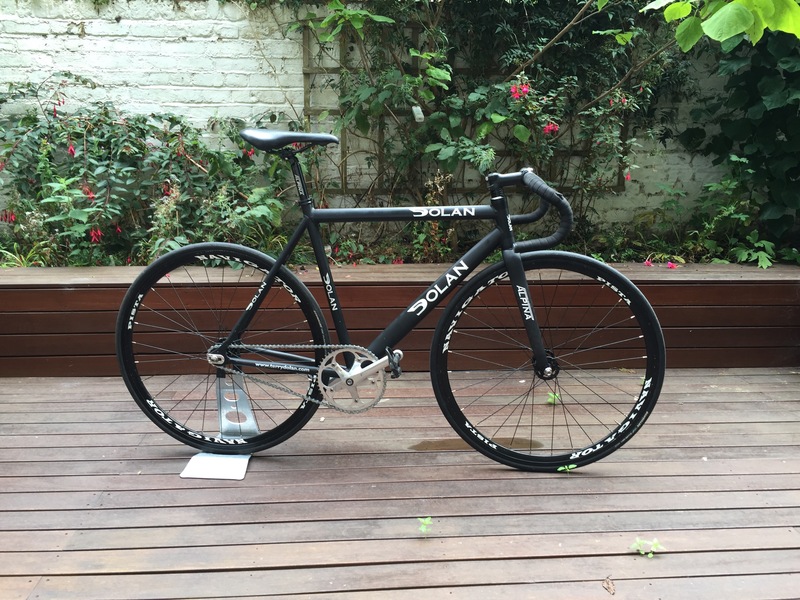 This is a frame only at the moment, hoping to re-build up as a winter hack/commuter. 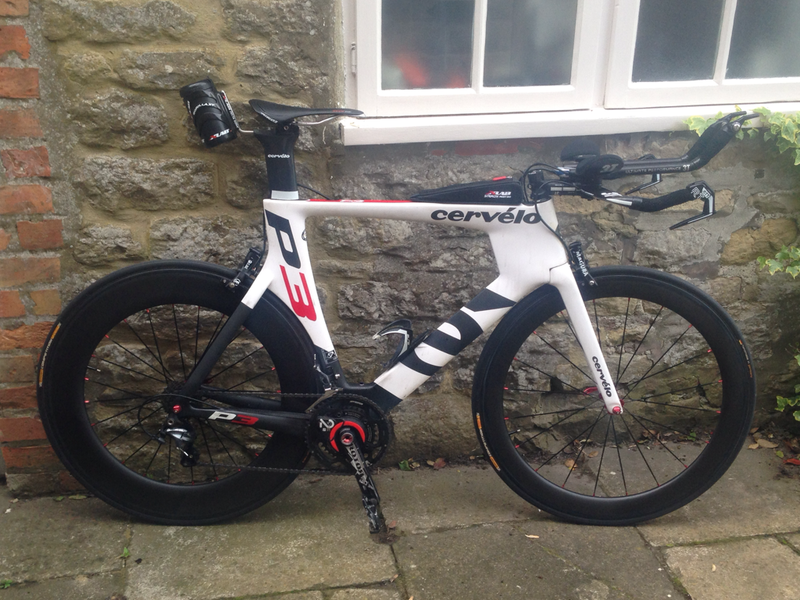 Cervelo P3 – 2014. I bought this bike in March 2014 to use for triathlon after having had an extensive bike fit in order to find a frame that suited me. I’ve not got a typical morphology in that I’m 5’10”, but have a relatively long torso and short legs in comparison to most. This means I need quite a bit of reach. 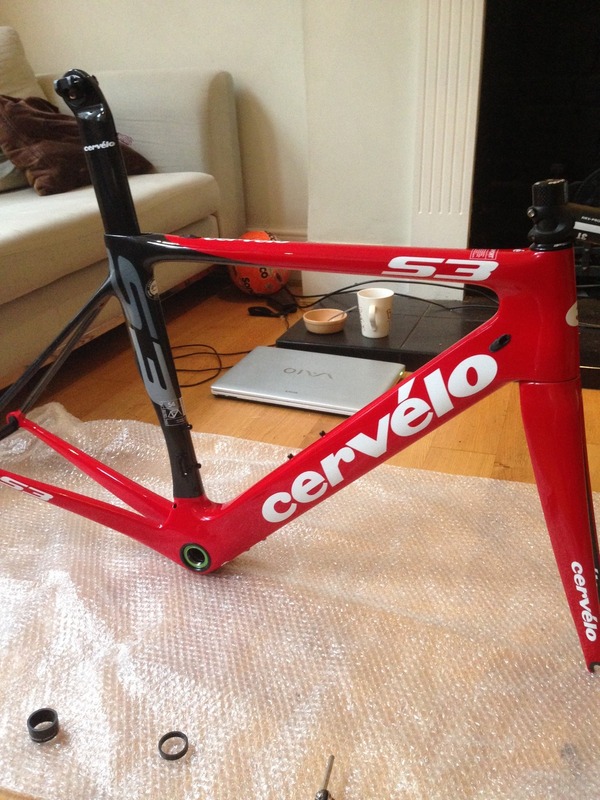 Which meant going for a 58cm frame. 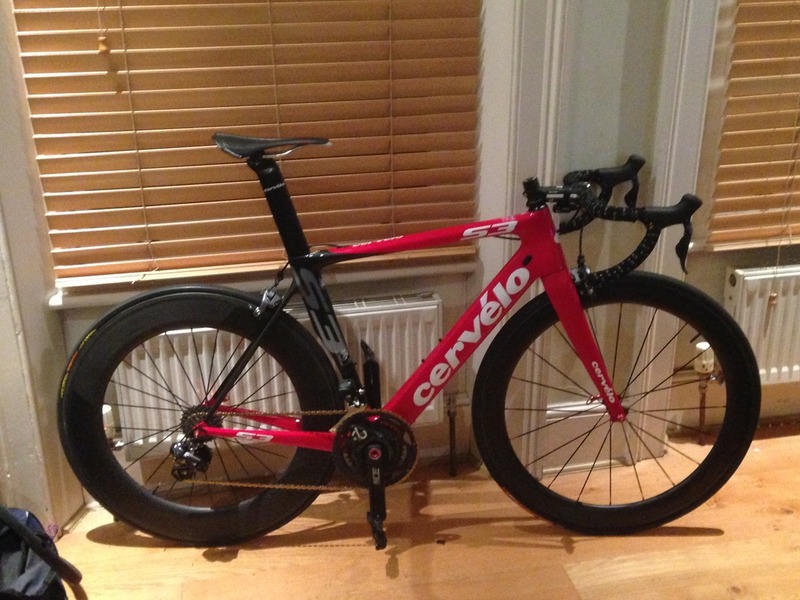 So you can see I run a 110mm -17mm stem on top of that, but not a great deal of saddle height! Recently sold sadly as I just haven’t been using as much as I’d like post triathlon. I always felt it was a little too big for just pure TT’ing, although comfortable for the long distance stuff. I bought the bike and ran it pretty much stock besides changing the wheels and using my Rotor Power2Max, then towards the end of last year decided to make some changes, as I will be just using it for TTs in 2015. I re-routed and shortened the rear hydraulic hose to go through the top of the top-tube along with the gear cables, as previously it would enter the side of the frame. This looked a bit untidy and must have given a slight drag penalty. I also shorted the front hydraulic hose, and swapped the bars for some 3T Brezza II bars. These have the flat ends rather than the upturned 3T Aura bar I previously used. Also swapped to carbon s-bend extensions at the same time. More aero and some weight savings made. 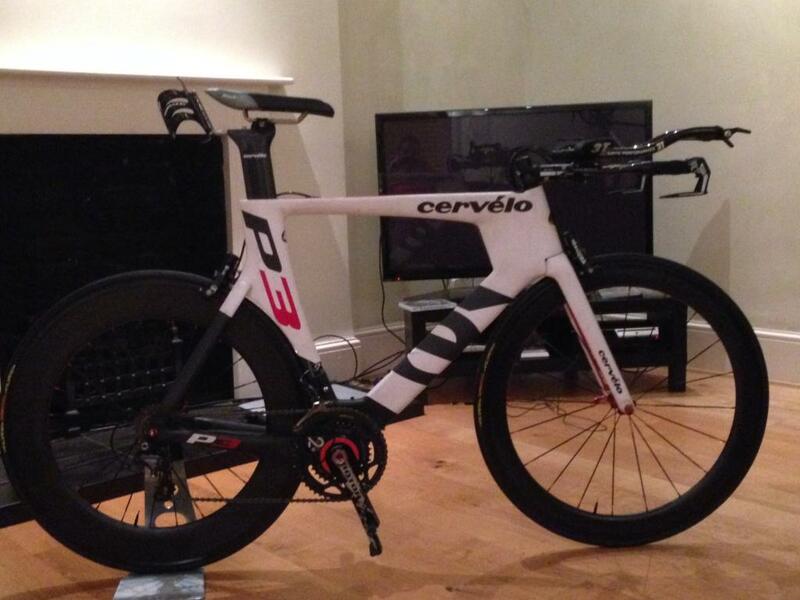 2015 Cervelo S3 – Basic spec below, still waiting on a few parts however. Still deciding what to do with this as I want to make a few changes to it still. Will want to get a power meter at some point if I start taking my track more seriously over the winter, so looking at a Dura-ace 7710 crankset with a stages PM potentially, or a Power2Max crankset, although the BB may be an issue there.